The CBC’s Murdoch Mysteries has been shooting in and around Hamilton a lot lately and the CBC recently put together a small documentary on some of the locations around Ontario the show has been visiting. You can watch the whole thing or skip forward to about 4:16 in to see the parts about Hamilton. Murdoch has shot episodes in Dundas, as well as 270 Sherman recently. 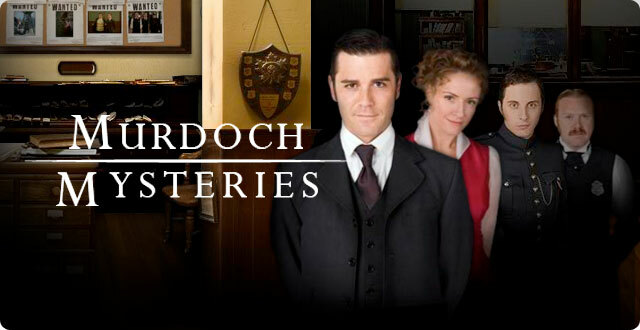 You can also watch full length episodes of the Murdoch Mysteries on the CBC’s website for free. Check it out. The City of Hamilton’s General Manager for Planning and Economic Development Jason Thorne tells us that in 2014 the City’s Tourism and Culture Division worked with around 100 film productions in 2014 alone! Those productions spent $7 million in the Hamilton economy last year an increase from 75 productions and $5.7 million in 2013.